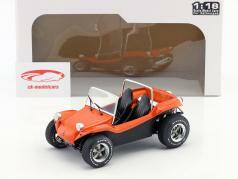 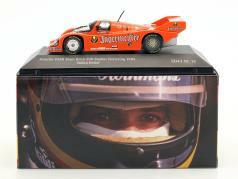 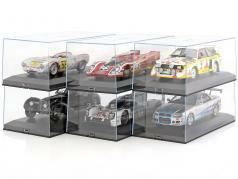 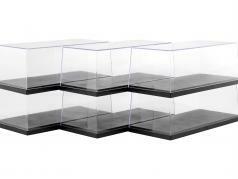 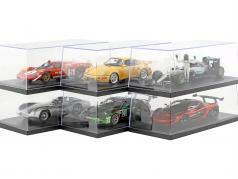 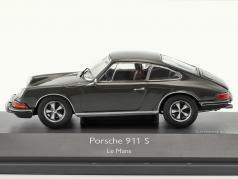 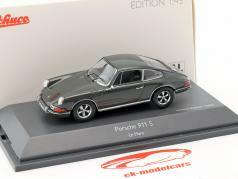 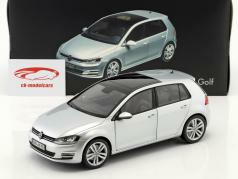 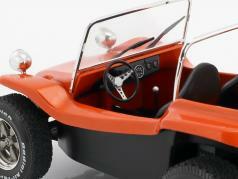 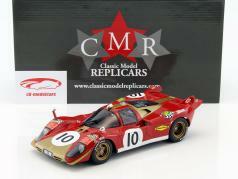 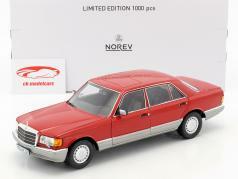 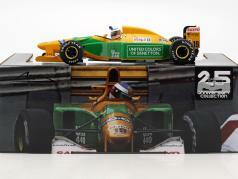 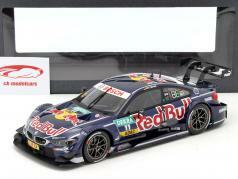 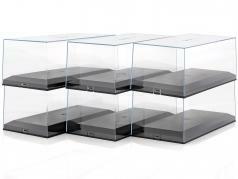 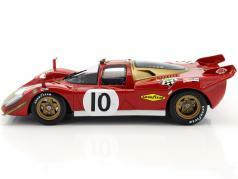 The high quality built model is produced in Diecast. It has moving loading ramps to load the vehicles authentically. An eye-catcher is the wood on the ramps. 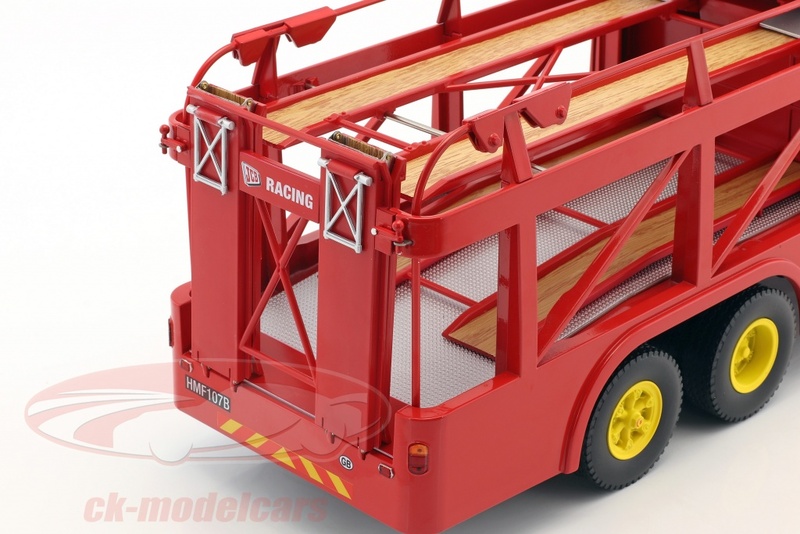 The length of the model car amounts to approximately 60 cm; with extended loading ramp even to 82 cm. 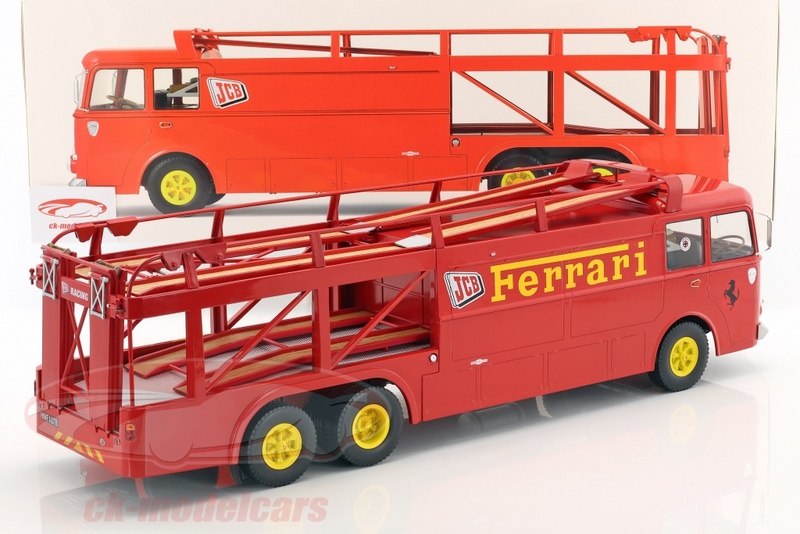 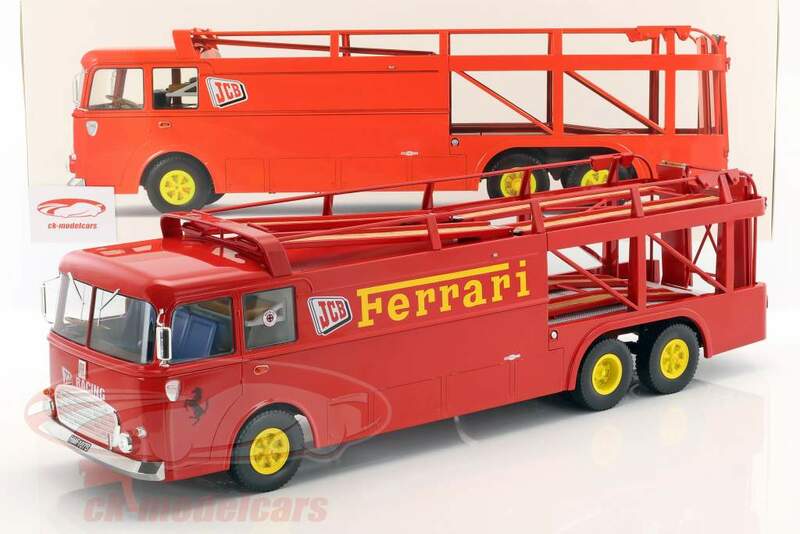 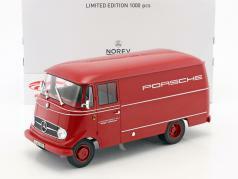 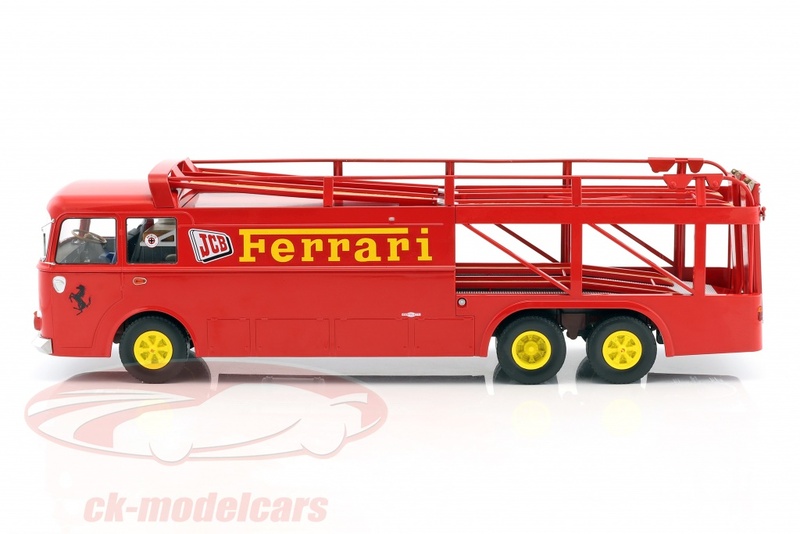 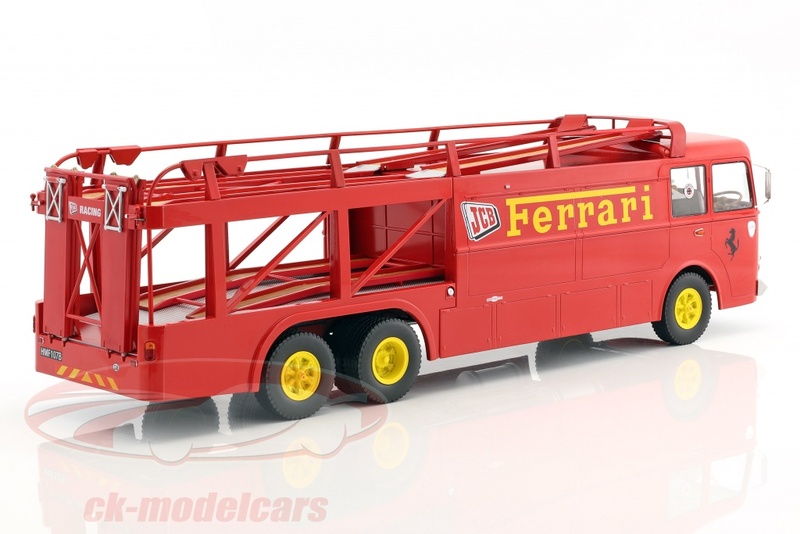 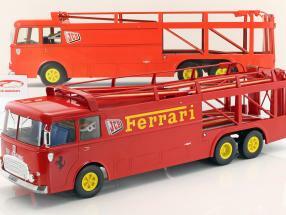 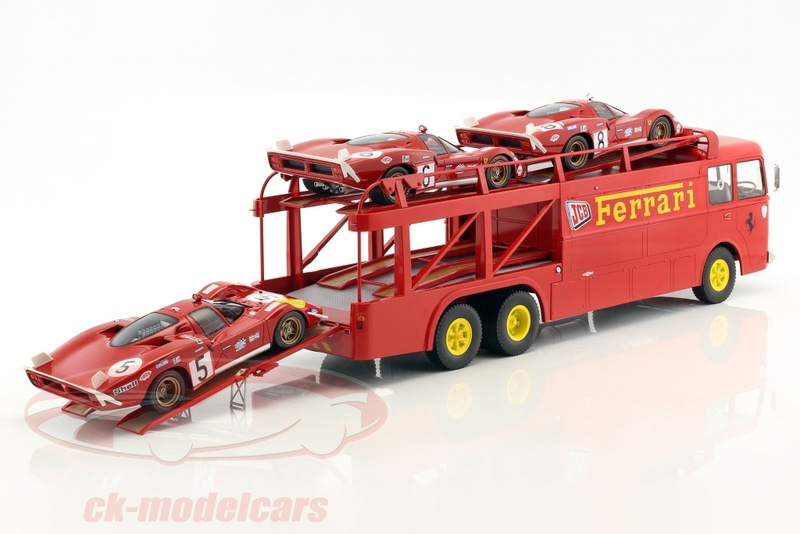 The impressively well made miniature of the Bartoletti racing transporter 306/2 in scale 1:18 from Norev now appears in Ferrari design. 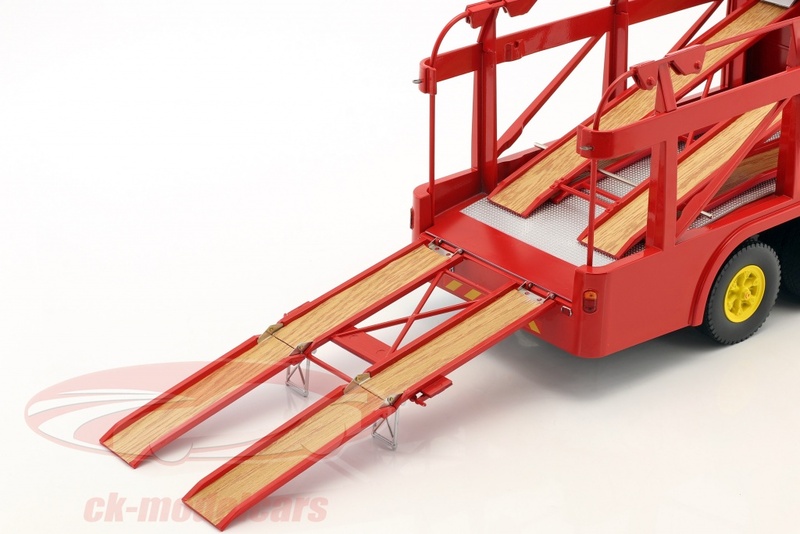 If the collector unfolds the fully functioning loading ramp, it has an impressive 82 centimeters in length. The prototype is based on a 1956 Fiat 642 RN2 bus chassis. 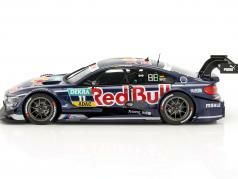 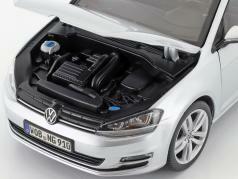 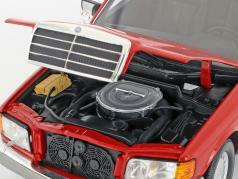 Its 6.6-liter six-cylinder inline diesel engine type 364A made originally 67 kW / 92 hp. 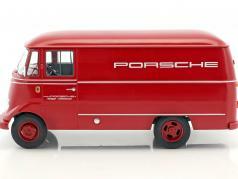 Coachbuilder Bartoletti delivered the new vehicle in 1960 to the Reventlow Scarab F1 Team for use in Formula 1. 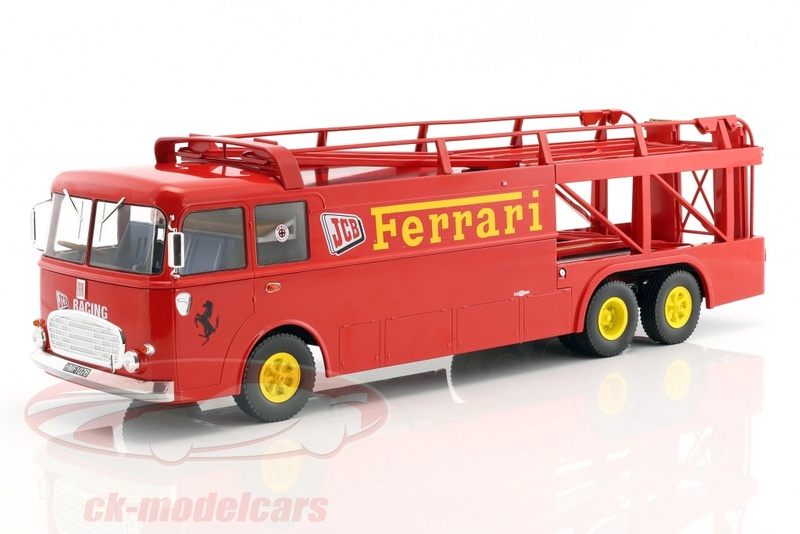 After his bankruptcy, a guest appearance at Lotus and another failed sale the Bartoletti Racing Transporter went back in 1963 to the manufacturer; Carroll Shelby took him over in 1964 and gave the truck a third axle for weight reasons. 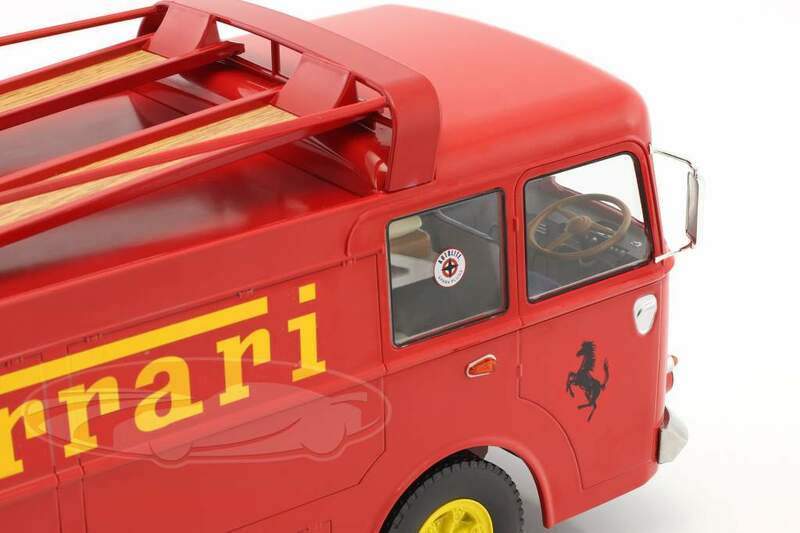 In 1969, David Piper bought the Bartoletti and rented it to the production company of the movie "Le Mans", which painted it in the colors of the Renault / Mirage team, then in the design of the Porsche / Gulf team and finally in the rich red of the Scuderia Ferrari. 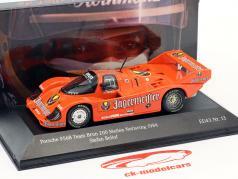 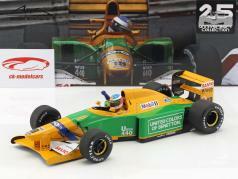 JC Bamford bought the vehicle afterwards and used it in this colour for the transport of historical race cars: The pattern for this model car.